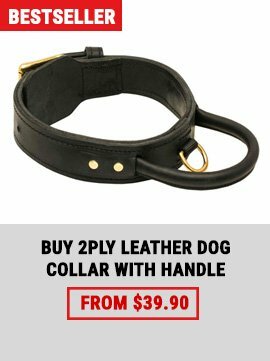 Do you have 2 dogs? How lucky you are! But sometimes walking them simultaneously turns into an irritating challenge, isn't it? 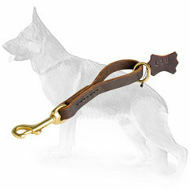 Certainly you can't make your dogs walk straight, but it is on your force to prevent knotting two leashes together! All you need is a coupler! 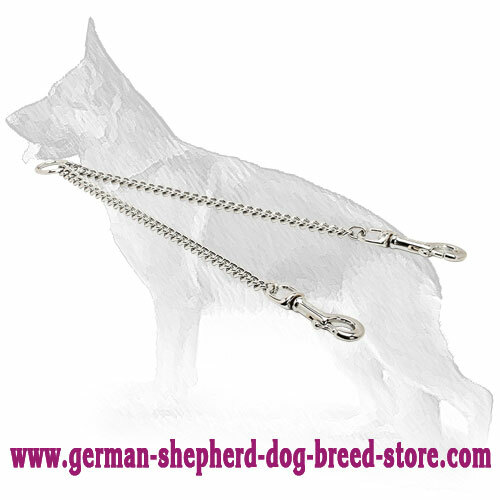 Look at this Chain Chrome Plated Coupler for walking 2 canines. 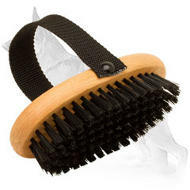 We are sure you will love it from the first use. 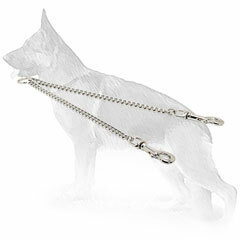 Convenient and durable Chain Coupler is a key to joyful walking. Learn the advantages of this chain coupler. 1. The coupler is made of chrome plated steel. 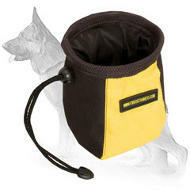 It is rust-proof and safe for your dog. Besides, it won't lose its shine. 2. It is comfortable to use. 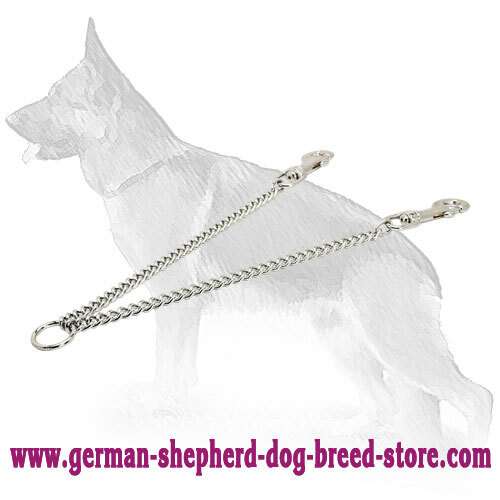 The coupler is equipped with 2 snap hooks, which allow you to fasten the gear to the collar or free your dogs in a few seconds. 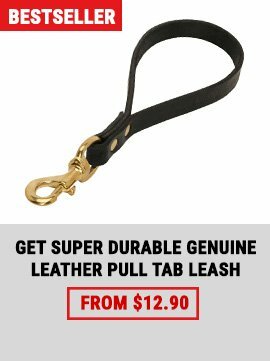 Use O-ring to attach a leash without any difficulties. 3. 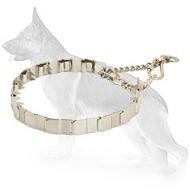 Due to silver color, this stylish supply underlines your dog's beauty. 4. 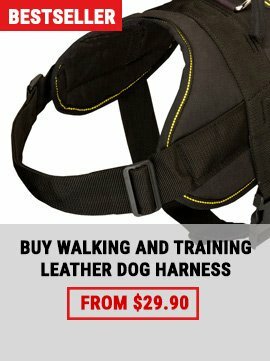 The price is rather reasonable and is lower than two separate leashes. If you want to prolong the service life of the tool, avoid strong hitting or scratching the chrome plating, otherwise steel may start to rust.